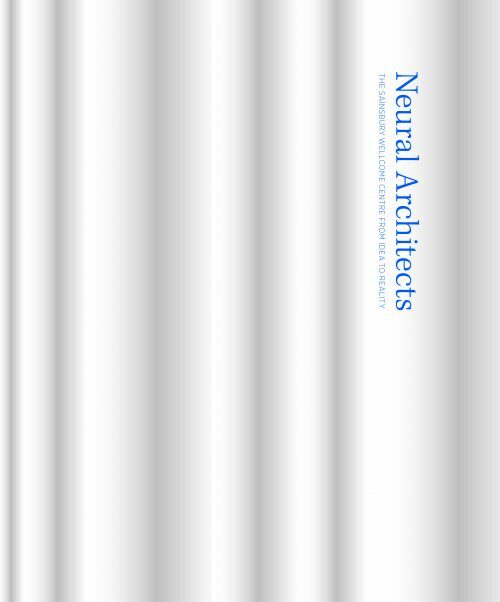 ‘Neural Architects’ documents a unique collaboration between iRAL and a community of scientists seeking to understand how we think, feel, understand and remember. 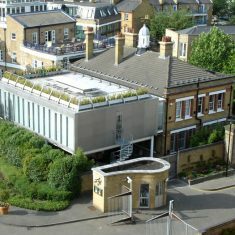 The outcome of this collaboration is an outstanding laboratory for the 21st century: the Sainsbury Wellcome Centre at University College London. This book celebrates the opening of the building in 2016. Ian Ritchie and his team swept away all preconceptions about how to design a laboratory. Instead they visited neuroscientists around the world, gaining an intimate understanding of the way they use and construct the spaces around them. Through continuing dialogue, the design team imagined the new lab ‘from the inside out’, and then finished it with a stunning contemporary take on the Fitzrovia streetscape. iRAL have created adaptable, interconnected spaces that will foster interactions between researchers from different disciplines. The new centre, funded jointly by the Gatsby Charitable Foundation and the Wellcome Trust, has attracted international leaders in the field to explore the networks of activity that are fundamental to our humanity. Georgina Ferry’s text is based on interviews with all those involved, giving a rare insiders’ view of the process of creating a highly specialised building. Georgina Ferry is a science writer, author and broadcaster. She was formerly a staff editor and feature writer on New Scientist, and has presented science programmes on BBC Radio. Her biography of Britain’s only female Nobel-prizewinning scientist, Dorothy Hodgkin: A Life (Granta 1998), shortlisted for the Duff Cooper Prize, was reissued by Bloomsbury Reader in 2014. She has published four further books on 20th-century science. Published by Unicorn Publishing and available in their online shop.